What is the Bisca Yoga Club? The Bisca Yoga Club was founded in May 2012 by Rachel Hanberry, Yoga Siromani E-RYT200 and initially it offered just yoga to it's members. However the Club has seen a steady growth over the years and now includes a timetable of Yoga, Pilates and well-being classes to the community throughout the year. Members can choose from Vinyasa Yoga, traditional Hatha Yoga, pregnancy yoga, post natal yoga, yoga for women, pilates, and Zen-fitness. The Club currently has 4 teachers who provide these services to the community and people visiting the area during the summer months. 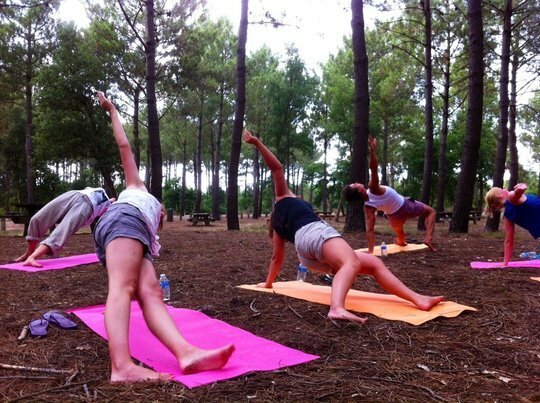 Morning yoga classes are taken outdoors in the summer, either on the beach or in the surrounding forest offering something a little different and very special to it's members. Becoming a member of the Club is easy, you just sign up to a class via the website Bisca Yoga Club . Membership options range from daily passes to annual membership and are included in each subscription. You can create your own account to pay online and reserve your classes. Who is behind the Bisca Yoga Club? The Bisca Yoga Club was founded by Rachel Hanberry. She moved to Biscarrosse-Plage from the UK in 2010 after spending a life changing 6 months volunteering and travelling in East Africa. Having experienced this very simple way of life she realised she couldn't continue to work in an office doing a job that she was not passionate about, in her previous life she was a recruitment consultant, working in London. When she arrived in Biscarrosse she quickly realised that the town did not have a dedicated yoga studio or well-being centre so Rachel decided to create something for the local people and tourists to develop her own teaching experience. She completed her yoga teacher training with the Sivananda Yoga Vedanta Centre in Orleans in 2011 and started teaching classes a local guest house, at client's homes and on the beach that summer. Realising that to teach classes regularly year round she needed a permanent base, she then took the ambitious step and opened the "Belle Vie Yoga" studio which incorporates the Bisca Yoga Club. This was a big step for her because at this point she did not have a regular clientele, most of her clients had been tourists visiting Biscarrosse Plage during the summer. However the risk paid off and the community embraced the Club, with 50% of its current members having joined back in May 2012. Since then the Club has continued to grow with more classes being added to the schedule, the Club currently runs a weekly Pilates class, a Zen-fitness class, a monthly Women's Yoga Workshop along with 5 yoga classes per week, the timetable can be seen here. Rachel has completed further training and is now a Core Strength Vinyasa Teacher, she continues with her own daily practice, she is a passionate yogini who teaches from her heart with love and warmth. 1) The rent is very high. Due to the seasonal nature of the town, commerces can charge a premium to rent their premises. As the Club keeps its membership subscriptions to a minimum, the teachers providing the services tend to suffer, sometimes the Club cannot pay them for their classes and they end up teaching on a voluntary basis. 2) The converted shop is not purpose built, it is very cold in winter with no central heating, and very warm in summer with no possibility of opening the windows. It also faces onto a busy road with a lot of people and cars passing by during the summer. This makes it noisy. 3) The Club membership continues to grow and the number of members have now outgrown the size of the current unit. Therefore it is unsustainable for the Yoga Club to continue to rent the current premises. Rachel and her husband James (also a keen yogi) are renovating an old beach house in the town to create a guest house and gite business. Whilst James was knocking down the walls of an old barn in the garden, Rachel realised that this space would be perfect for a yoga studio, the sun was beaming into the corner of the garden and it was very peaceful (when James wasn't hammering down the walls!) So the seed was planted, convincing James was not difficult and the introduction of a yoga studio at the beach house began to take shape. This in turn changed the initial plans of the guest house to be that of a dedicated yoga retreat guest house. With the contract at the shop unit expiring at the end of October 2014, the best solution was for the new yoga guest house to host the Bisca Yoga Club. Rachel and James have funded the project so far, this has included sourcing planning permission and architect fees, builders costs to lay the foundations for the building, carpentry fees, cost of materials. The carpenter they chose creates everything by hand using a very traditional method of carpentry, and as such the finished result is beautiful. The Bisca Yoga Club will be able to use this purpose built studio year round, paying a minimum rent to cover costs of heating, electricity and maintenance and benefitting from this beautiful building in tranquil surroundings, offering classes on the terrace in the sunshine or inside with the wood burner providing warmth in the winter, and also hot yoga classes. Rachel and James are also planning to use their home to host yoga and surf retreats in the summer months, welcoming people from around the world to share in their yogic lifestyle and benefit from a well-being holiday. 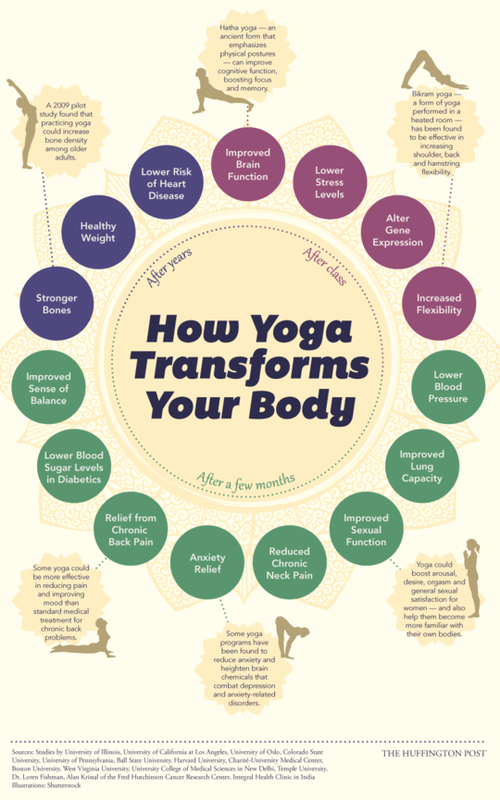 This will also increase the number of members of the Yoga Club. As you can see Rachel and James have provided the structure for the Centre and have stretched themselves as far as is financially possible. Rachel has funded the website and booking system in place but the space needs finishing so that classes can begin in the new studio. They would love you to give them a helping hand and breathe life into this beautiful wooden shell by providing the finishing touches that are tangible, you will be able to actually see what your money has helped to create! To complete the Centre allowing it to become fully operational the target has been set at 10,000€. If we manage to go over target we will use any extra monies raised to buy more props for the yoga studio such as ropes, meditation cushions. THANK YOU SO MUCH FOR YOUR SUPPORT! PLEASE SUPPORT US FURTHER BY SHARING THIS CAMPAIGN WITH YOUR FRIENDS AND FAMILY. A big smile and a big thank you for your support and your name included on the wall of gratitude which is to be created in new the studio! A big smile, a big thank you, your name included on the wall of gratitude which is to be created in new the studio and access to 1 online one hour core strength vinyasa yoga class filmed in the new studio! A big smile, a big thank you, your name included on the wall of gratitude and a one hour group yoga class to be taken in the new studio or via Skype! A big smile, a big thank you, your name included on the wall of gratitude in new the studio, access to 1 online one hour core strength vinyasa yoga class filmed in the new studio AND a private one to one yoga class to improve your practice to be taken in the new studio at your convenience! A big smile, a big thank you, your name included on the wall of gratitude in new the studio, access to 1 online one hour core strength vinyasa yoga class filmed in the new studio AND a 1 week unlimited classes pass to the Bisca Yoga Club to be used when you choose! A big smile, a big thank you and your name included on the wall of gratitude in the new studio, access to 1 online one hour core strength vinyasa yoga class filmed in the new studio AND a Black Manduka Eco friendly yoga mat and your own personalised yoga bag! A big smile, a big thank you, your name included on the wall of gratitude in new the studio, access to 1 online one hour core strength vinyasa yoga class filmed in the new studio AND a 1 month unlimited classes pass to the Bisca Yoga Club to be used when you choose! A big smile, a big thank you and your name included on the wall of gratitude in new the studio, access to 1 online one hour core strength vinyasa yoga class filmed in the new studio AND 10 one to one Skype yoga classes to be taken at your convenience!